Half Eaten Croissant On White Plate With Spoon Of Jam, With Some.. Stock Photo, Picture And Royalty Free Image. Image 105940109. 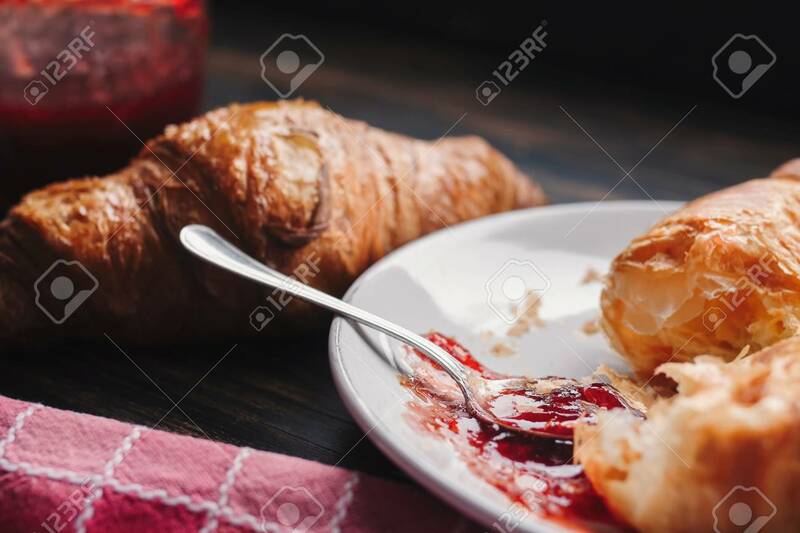 Stock Photo - Half eaten croissant on white plate with spoon of jam, with some jam spilled on a plate. In the background on the table is another croissant, jar of jam and red napkin. Half eaten croissant on white plate with spoon of jam, with some jam spilled on a plate. In the background on the table is another croissant, jar of jam and red napkin.